Black Sabbath’s Tony Iommi is sharing an update on his ongoing cancer battle. 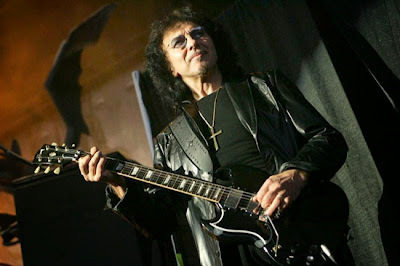 The guitarist recorded Black Sabbath’s 2013 album, “13”, and completed a world tour with the band while undergoing medical treatment since being diagnosed with blood cancer lymphoma in January of 2012. The treatments have been physically and emotionally draining for the guitarist. “I finally finished my antibody treatment over the summer,” explains Iommi. “It’s good in a way because I have more energy now, but I still don’t know whether the treatment worked. Because I had two different operations at the same time, one on my prostate and one on my lymph nodes, I had too many scans last year and too much radiation. So I can’t have any more scans yet." “Every day I feel around for lumps and bumps. Every time I get a pain in my stomach I think, ‘Oh God, it’s cancer’. It’s horrible. I even dream about it. But that’s my life now." Iommi and Black Sabbath are expected to regroup this year to write and record a final album and perform a farewell tour.